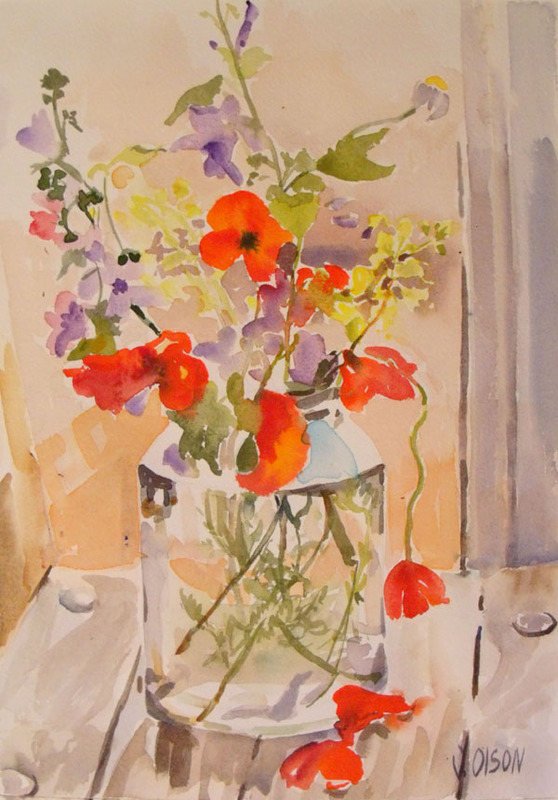 Wild Flowers in Pickle Jar is one of the watercolors from a spring series that I’m painting. Spring is my favorite time of year because there is a special light, color and interesting forms and shapes everywhere. Started off with a light drawing to make sure the jar is parallel to the picture plane. Then I put in the contrasting color and estimate where everything can build onto it. I always start with my favorite part. 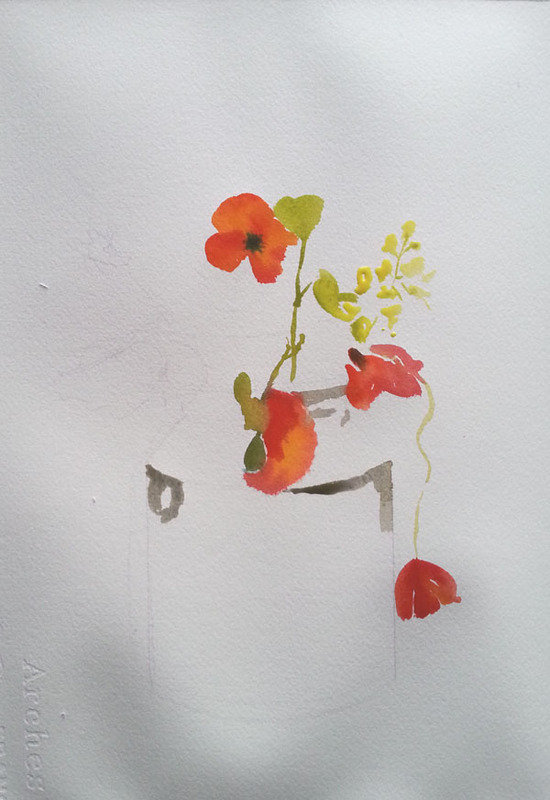 I don’t pencil in the shapes of the flowers, I paint them directly with a brush, so that they don’t look hard and cut out. Then I build everything around it. As I’m painting, I want to get it in one shot and stop when the paper is covered. 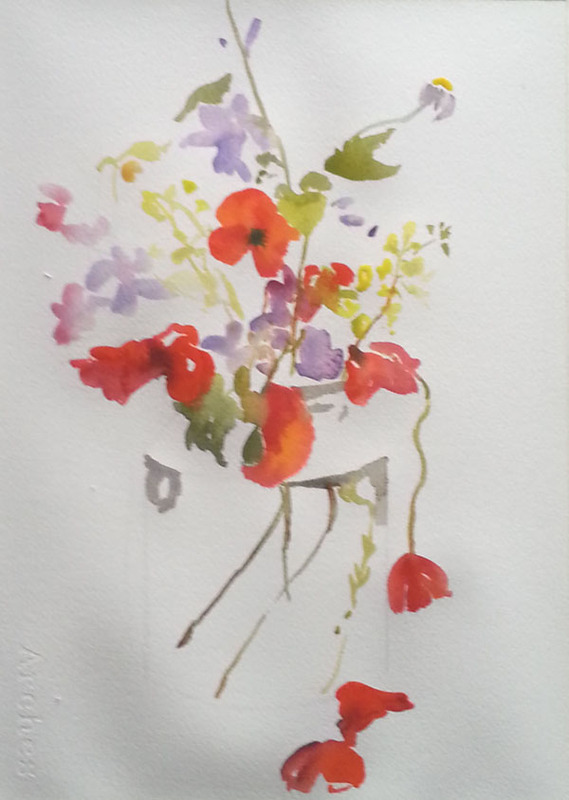 This entry was posted in The Watercolor Art Making Process, Wild Flowers and tagged #watercolor painting tips, Pickle Jar. Bookmark the permalink.